Automobile headlights can be used to illuminate work areas, crawl spaces, and many other areas where AC power may not be available. In order to use headlights for these applications, they must be wired directly to a car battery or some other source of DC power. The headlight and battery combination is a versatile and efficient means of illuminating a work area. Locate the headlight that will be used. 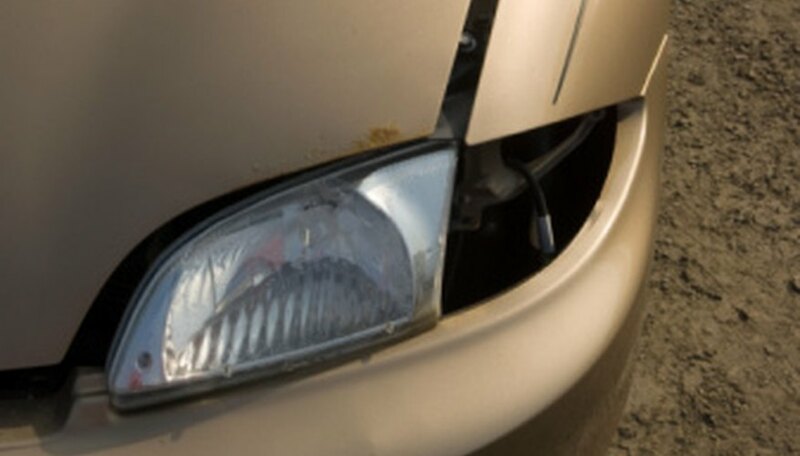 There are two main types of headlights: the older, sealed-type and the newer, non-sealed variety. The difference is that with the sealed headlights, the entire headlight must be replaced when it burns out. With the non-sealed headlights, only the bulb has to be replaced. Wiring for both types is basically the same. Be sure to obtain the light bulb socket as well. Insert the headlight into the headlight socket. Each headlight bulb should have two wires. One wire is positive and the other is negative. Cut about 2 feet of each type of wire using the additional white and black 12-gauge wire. Strip 1/2-inch of insulation off the end of each white and black wire. Connect one end of the black wire to the black wire on the headlight socket. Place a plastic twist cap on that splice. Connect one end of the white to the second wire on the headlight socket. Add a twist cap to that splice as well. This makes the socket wires longer and more versatile. Loosen the screws on the alligator clips and insert the other end of the white wire into one of the alligator clips. Tighten the screw so that the white wire stays in place. Repeat this process for the black wire using the second alligator clip. Clip the white wire alligator clip onto the positive post of the battery. Then clip the black wire alligator clip onto the negative post of the battery. The headlight should now be on.